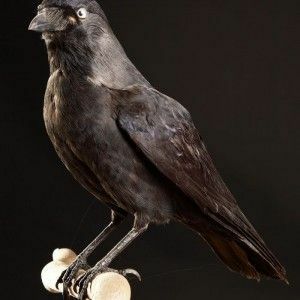 Also called jackdaws Turnstone, the daurian jackdaw is part of the corvid family. Its name comes from the region of Dauria, east of Russia. 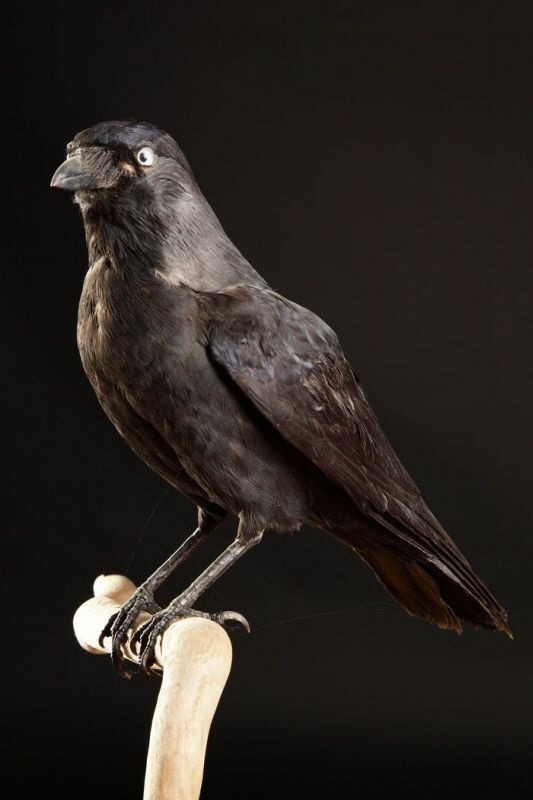 It is the same size or slightly smaller than the Western Jackdaw. Its proportions and habits are also identical. It differs by its plumage. Adults and young are entirely black and iris is also black. It is quite noisy. Its cry of alarm and contact is brief. it lives in open woods and farmland valleys, hills or mountains. It is found in the east of Asia, south of Siberia, Mongolia, central and northern China southeast Tibet. It winters farther south, Russia, China, Taiwan, the Ryukyu Islands and Japan. Very sociable and gregarious, It nests in small colonies and couples are united for life. It nests in trees, in the cavities of cliffs and buildings in ruins. Its very basic nest consists of a pile of twigs, grass, horsehair, wool, feathers and various materials borrowed from human activities. Both parents participate in its construction. The breeding season occurs between April and June. The female lays eggs from March to July, Incubation lasts between 16 and 18 days and both parents participate in feeding. Young fly after one month.